Friedrich Julius Stahl was one of Germany's leading constitutional scholars in the 19th century, prior to the advent of Bismarck and the establishment of a united Germany. 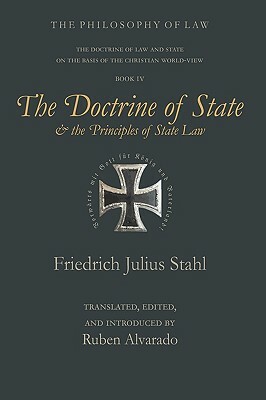 The Doctrine of State and the Principles of State Law is the centerpiece of his magnum opus, the Philosophy of Law. This is the first English-language translation of this key work of legal and political philosophy. It is written from a Christian and conservative background, but cognizant of and generous toward the liberal mainstream of constitutional opinion that characterized his day. Historians, legal scholars, and philosophical fellow-travelers all will gain greatly by perusing this magnificent yet forgotten work.